Songs have always held festivals together. Whatever may the occasion be – from wedding to pongal, they are all graced by wonderful numbers. The folk songs are one of the best but apart from them we also have popular film songs which have made the festival more vibrant. These songs (given below) which featured in different films evergreen for the festival. Pongal is one of the most important festivals of the southern India – especially in Tamil Nadu. Feasting and joyful singing are important parts of the festival. This is why there are a lot of songs that are dedicated solely for this festival. These songs beautifully capture not just the essence of the festival itself but also the vibe of the entire state during this festival. 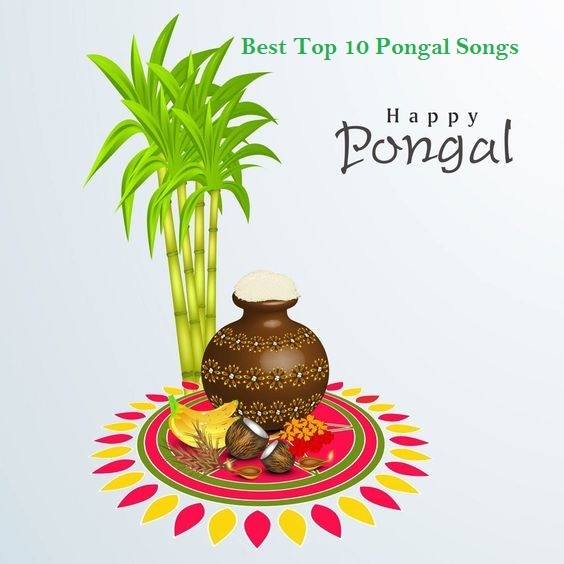 Thai pongalam is one of the most popular pongal songs that has ever been written. This song truly captures the essence of the festival in its full glory. Perhaps this is the reason that it is played across the state of Tamil Nadu even now. They convey the spirit of harvest of the season. KummadiAdi is one of the most popular songs of the pongal season. Ever since this song has come into existence, it has only grown to be more popular. It is the perfect song for this occasion because it upholds the vibe of this season in just the right manner. Vanthena Paalakaran was not originally going to be a part of the movie. This part of the album was only added after Rajnikanth suggested. The song is about the usefulness of the holy cow. Therefore it is yet another important song for the festival. This song was picturized very colorfully. If the previous song happened on Rajnikanth’s suggestion then this song is where Rajnikanth’s fame started from. It is one of the most important songs for his career and the pongal festival. Today this song is played at least once during this festival. This song is about the spirit of Jallikattu – a ceremony that happens during Pongal. This song is picturized on Khusboo – who was a very famous actress back then when the movie released. The song gave many reasons for the people to remember the festivity in its full glory. The song was picturized vividly. It is the video that captured and later the lyrics which kept the spirit alive. This song did not become a big hit – probably because the other songs in the list made a huge wave after all. This album became a major part of attraction for the movie. But this song became a hit during Pongal. The background scenes and the song picturization boasts of the vibe of pongal. This song was one of the most famous songs and the videos have received thousands of views on YouTube. It is one of the most popular songs during pongal because it is all about glorifying the vibe of the actor. One thing is for sure while you are watching this song you will feel how big a festival pongal is in the south. This is why this song is cherished and when they feel like truly celebrating, this song is played. Thai maasam is a beautiful song that is about the month during which pongal is celebrated. You see before pongal is actually celebrated, a lot of preparation goes into it. Thai maasam is a song that glorifies the season. Makar sankranti occurs during the same time and it is the best time for harvest. This is why this song is so important at this festival. KattuKuyillu, once again, takes us back into the festivities. Now from the preparatory stages of the festival we have come to the actually celebration part and that is what is beautifully portrayed in this song. KanMalagarlin is a song that finally asks you to let loose and have some fun. This song is a must-have in your pongal playlist.